Oviedo Therapist: Beliza Perez - Therapist 32765. Send A Message To Beliza. Pre purchase 10 sessions and 1 is FREE! 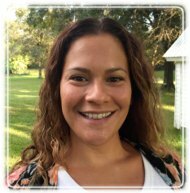 Beliza is a versatile counselor with 8 years of experience working with ages 3-18. Her background also helps her with being an effective therapist. She was born and raised in Brooklyn, New York and moved to Florida in high school. Having experience in a large northern city and also a smaller southern city helps her to have a diverse perspective. She can understand children, siblings, parents and families with different backgrounds. She completed her Master’s degree at the Chicago School of Professional Psychology and her passion lies in helping children who struggle with expressing themselves, frustration and worry. Beliza also enjoys helping clients to understand their feelings and learn to handle hard situations. She also loves helping parents better deal with their child. She believes that each family is special and her therapy approach is focused on addressing each kid, parent and families needs. Her style is creative and she is fun! Clients will leave each session with useful skills, answers to their questions and tools to practice at home and in school. Parents are encouraged to participate in counseling and ask questions too! Therapy with Beliza provides positive growth and improvement in your child's daily struggles. Individual goals will be developed and focused in with each client and/or family.